Simple but delicious – make in jugs for summer parties. 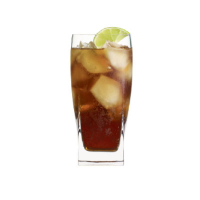 Half fill a tall glass with ice and pour in the rum and lime juice. Stir gently, then top up with cola. Decorate with a slice of lime. 10 Rum Cocktails.